The grandparents of my child with special needs left him an inheritance. What do we do? Grandparents love their grandchildren and want to help provide for them. Many well-meaning grandparents leave their grandsons and granddaughters a small inheritance in their wills. But however good the intention, even a tiny inheritance can potentially cause hardship for a child with special needs. It may seem helpful to leave a child with special needs a certain amount of cash in the hope it will help pay for his or her care or living situation long-term. But, there are problems posed. In many cases, a child with special needs receives public assistance, like Medicaid or SSI. 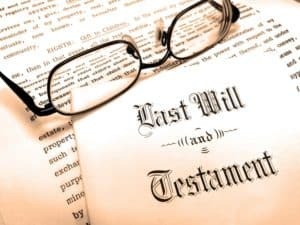 An inheritance can cause the child to no longer be qualified for the help that many parents rely on and that he or she is going to need as an adult for the rest of their life. If your child with special needs was recently left an inheritance, it’s important you speak to an attorney specializing in special needs planning to discuss your options. In the state of Illinois, children with special needs may inherit property or receive gifts – only to be then disqualified from receiving government benefits. The government may claim reimbursement of benefits and seize the child’s inheritance to pay back benefits provided to the child for years, long before he or she was left an inheritance. The state, under statute, could be entitled to recover all of the money it may have provided for residential care, medical care and other services provided to the child, from the inheritance left by the kind and well-meaning grandma and grandpa. One of the primary objectives in estate planning for parents of a child with special needs is to ensure that the child remains qualified and eligible for government entitlement programs, while protecting the family’s assets, and the child’s inheritance, from seizure by the government. Parents and grandparents should opt to leave any inheritance to a special needs trust rather than a traditional inheritance of cash. Such trusts, if carefully drafted by an attorney with extensive knowledge of the ever-changing laws in Illinois, will allow the inheritance to benefit the child during their lifetime without impacting their government benefits.